Dirty soft furnishings are health hazards. Clean them regularly with professional help. Sofa cleaning service should not be engaged only when there are stains all over the upholstery set. Regular sofa cleaning is important to ensure dust and dirt particles accumulated within the sofa are removed frequently. Stains that are treated quickly are generally easier to remove compared to older stains. Dirty sofa sets are not only unsightly, they can also be a health hazard if embedded dirt particles and dust trapped within the upholstery are kept to accumulate for long period of time. Food crumbs, body grease, dust, dirt particles and micro organisms are the commonly found soil components trapped within the upholstery. Without regular maintenance, these dirt particles may cause permanent stain marks on the sofa and cause indoor air pollution. 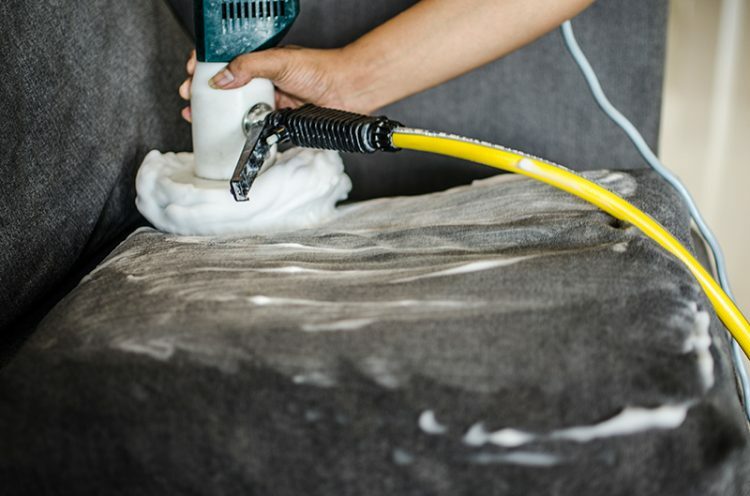 Sofa cleaning that almost does not need long drying process is unheard of until De Hygienique introduced low moisture upholstery cleaning treatment in 2004. Unlike typical wet shampooing method, De Hygienique cleans fabric sofa thoroughly using low moisture shampoo that adopts state-of-the-art encapsulation technology from Europe. 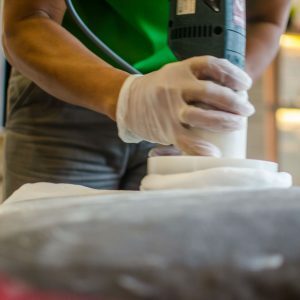 Despite cleaning using an unconventional method, our sofa cleaning service has been engaged by leading soft furnishing retailers, furniture manufacturers, hotel housekeepers, restaurants and home sofa owners. De Hygienique’s sofa cleaning treatment is specially designed for sofa maintenance in Asia, where our climate is humid and warm. We use pH7 products for sofa cleaning treatment to prevent colour discoloration. The low moisture shampoo quickens drying time by more than 75% compared to conventional sofa wet cleaning technique which helps to prevent fabric sofa from shrinking after the cleaning treatment. Quick drying time also reduces growth of microorganisms which thrive in warm and humid condition. De Hygienique’s sofa cleaning treatment effectively cleans and removes dirt from the sofa. We are technically trained by international cleaning institutions and equipped with safe stain removal products to tackle different types of stains on sofa. 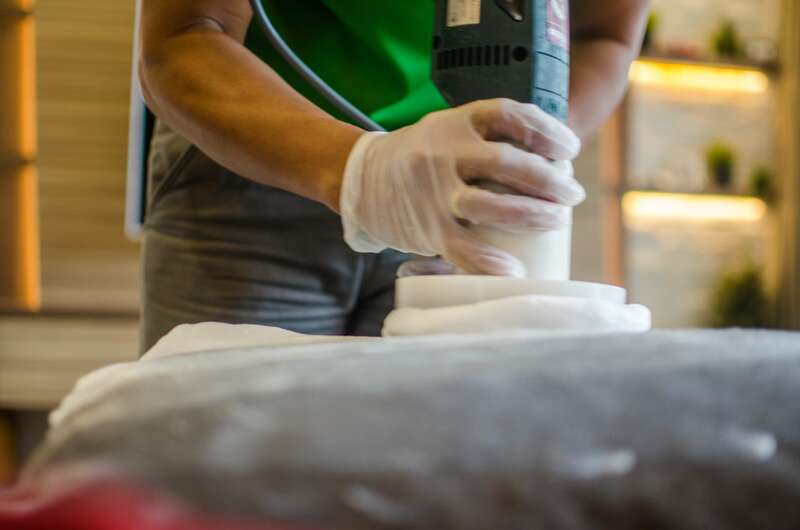 Although there are some stains that cannot be removed as stains have integrated into the fabric or leather permanently, we always strive to provide our best service to our customers. De Hygienique’s low moisture sofa cleaning treatment not only helps to prevent fabric from shrinking, customers also enjoy convenience as they don’t have to wait for many hours for the sofa to dry. A cleaned sofa set can be used almost immediately after cleaning treatment is completed. Note: Drying time varies depending on sofa conditions. Heavy soiling sofa may take longer drying time if we need to use more shampoo remove dirt and stains. How is low-moisture sofa shampooing done? After the fabric sofa is vacuumed to extract embedded dust and dirt particles, fabric will be thoroughly cleaned using low moisture shampoo. The specially formulated chemical safe shampoo will encapsulate dirt particles trapped in the fabric into fine crystals which would then be removed at the end of the sofa cleaning treatment. After sofa cleaning process is completed, the upholstery set will be sanitised using patented chemical safe anti dust mite and germicidal disinfectant to eliminate remaining dust mites and other microorganism. Leather sofa will be thoroughly moisturised after thorough leather cleaning is completed to prevent leather from cracking. To get complimentary onsite assessment on your sofa and other upholstered furniture, please contact our customer service officers for the earliest appointment booking.